Is the energy-storing solar cell soon to be reality? Storing solar energy is the central challenge facing energy researchers. Alongside traditional solutions such as solar cells or batteries, creative chemical concepts for storing energy are paving the way for entirely new opportunities. Intramolecular reactions are making it possible to transform solar energy and store it in a singular molecule. This may form the basis for constructing energy-storing solar cells. Electricity from a renewable energy source such as the sun or wind is only available when the wind blows or the sun shines, and it is extremely difficult to store any surplus electricity. New concepts are required—and researchers from the Department of Chemistry and Pharmacy at FAU are counting on chemical concepts for storing energy. In two joint projects, the scientists are exploring new ideas for using molecules to store solar energy and are investigating molecules and processes that allow energy to be stored efficiently and released in a controlled manner when required. It is even conceivable that stored chemical energy could be converted directly into electrical energy. The research is based on the so-called norbornadiene-quadricyclane storage system. 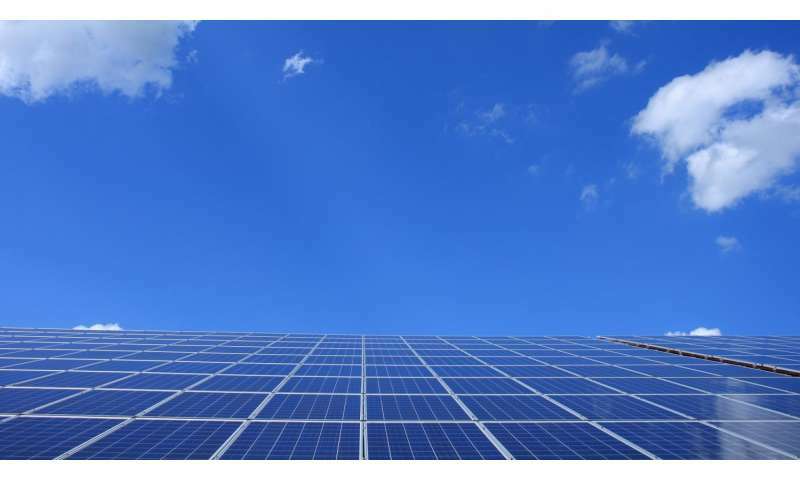 Norbornadiene (NBD) and quadricyclane (QC) are hydrocarbons and have been under discussion among experts as potential candidates for storing solar energy for some time now. Under the influence of light, a reaction within the norbornadiene molecule is triggered, causing the molecule to transform into quadricyclane. The reaction produces an energy density similar to that of a high-performance battery. Thanks to this property, quadricyclane is also known as "solar fuel." The sub-project focusing on photochemical and magnetochemical storage and the release of solar energy in strained organic compounds is led by Prof. Dr. Dirk Guldi and Prof. Dr. Andreas Hirsch. The scientists are working on producing various new groups of NBD and QC derivatives. In addition, they are systematically investigating the influence of photosensitizers and electron acceptors as well as solvents and magnetic fields within this process. The long-term goal of the researchers is to create a closed system-fuel cycle for molecular storage systems. Prof. Dr. Julien Bachmann, Prof. Dr. Jörg Libuda and Dr. Christian Papp are working together in the sub-project focussing on catalytic and electro-chemical release of solar energy stored in strained organic compounds. The scientists are developing new catalyst systems and electrodes that can be used to convert chemical energy directly into electrical energy. They intend proving the concept behind the functional principle using hybrid boundary surfaces with a suitable electronic structure, chemical structure and electrochemical stability. The results of both sub-projects could form the basis for building an energy-storing solar cell. The electricity created by solar energy could be stored intelligently and used highly efficiently thanks to intramolecular reactions. The main issue with QC appears to be that the reaction operates under UV light (<300 nm) while most of the incoming solar energy is longer wavelenghts (>400 nm, peak around 550 nm) so the amount of energy available for the reaction is very limited and it's not capturing most of the available sunlight.